Fundamentals. 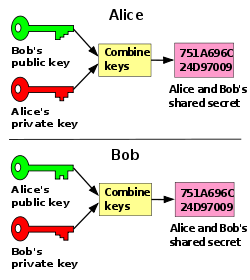 Basic encryption entails injecting a random data string … to obfuscate the real contents of the message or packet. 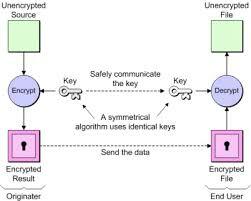 Server to Server encryption of Email messages is never going to be secure. TLS (Transport Layer Security) – a minimal implementation that allows servers to converse and exchange messages more securely — is not adopted in a high percentage of email servers across the internet. Something in excess of 40% of Email servers don’t answer this protocol. See this Wikipedia Article for some remedial reading — we all need to understand this layer of engineering language. Relax, there’s lots of pictures. I’m committed to bringing this topic to the blog on a regular basis. We’ll try to keep track of what’s being done, and how to easily adopt the best practices. My forecast is that Services — Google to Facebook, many others will adopt a paradigm that supports personal encryption in various layers — including service to service. At least you’d know, if you’re sharing credentials and info between a Blog, Facebook and Google (as I do now) that those channels would be secure. This is big iron taking seriously our privacy needs. Posted in Best Practices, Internet, Security.Tagged Email, Encryption, Facebook, Google, Message, security.